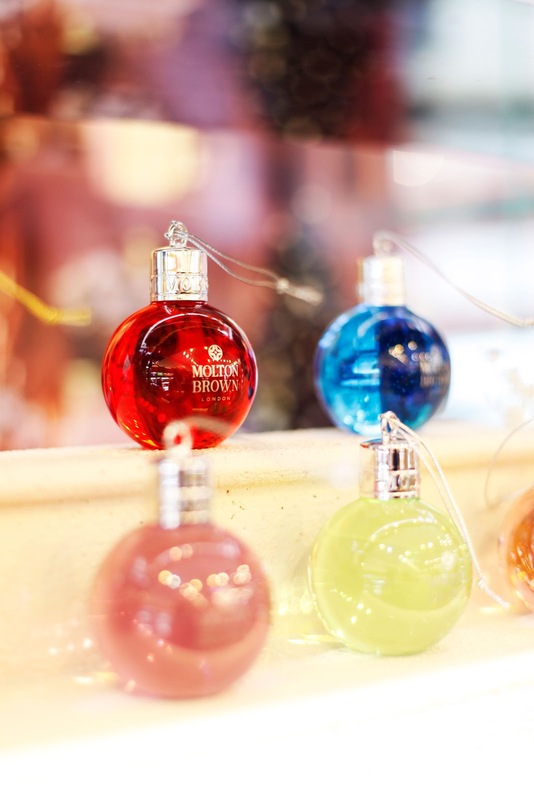 Molton Brown welcomed us with early morning coffee and a personalised festive bauble. 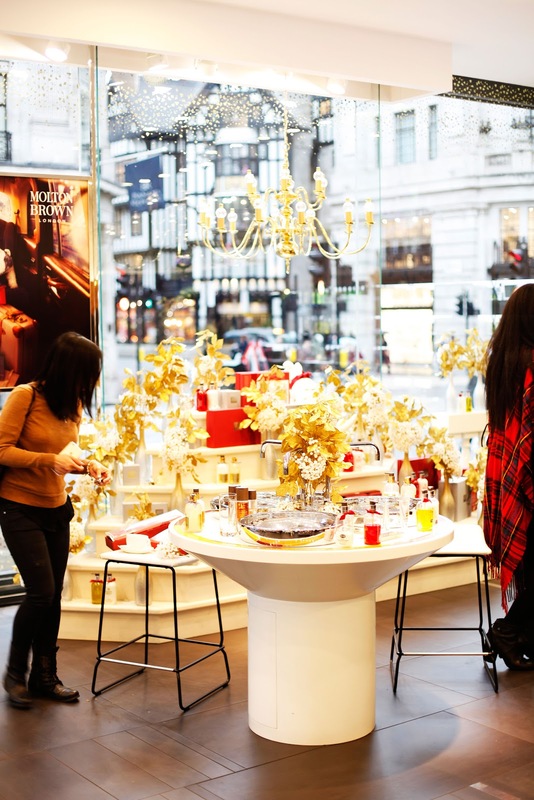 Molton Brown has a sparkling addition to its scent army this Christmas with the dazzlingly delicious Vintage 2015 with Elderflower. Almost too chic to use, this shimmering formula of sparkling grapefruit and English elderflower to soften the skin, with notes of petitgrain and vetiver, is utterly indulgent and deeply pampering. 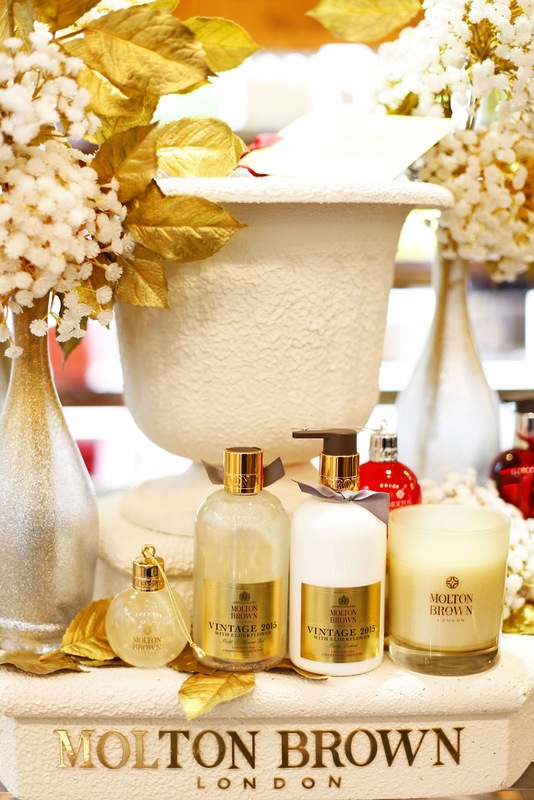 All Molton Brown products exude luxury and indulgence. Every item is made in England, inspired by exotic locations and bursting with fragrant essential oils and plant extracts to nourish the skin and stimulate the senses. 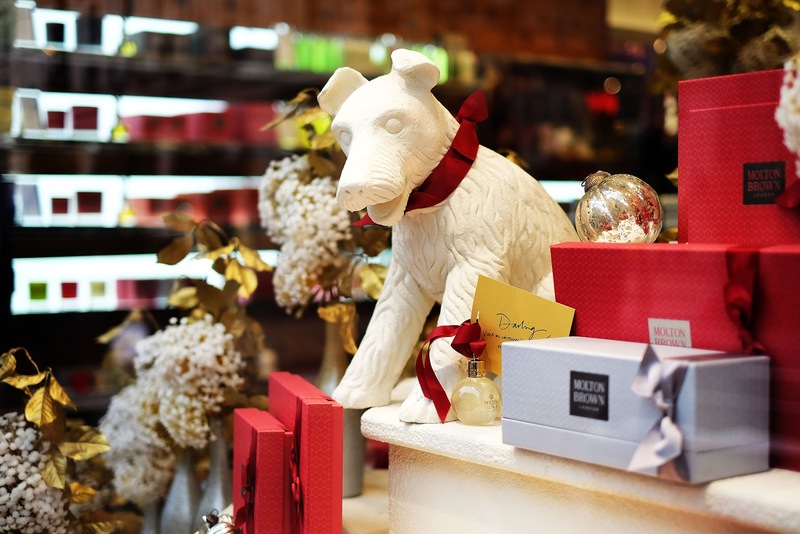 Molton Brown have a range of gift sets for her and for him featuring bath, body, hand and skin care products along with stylish gifts for the home. All with a free gift box and tag to personalise with your own message. RUS: Завтрак начался с кофе и персонализированного шарика с гелем для душа. 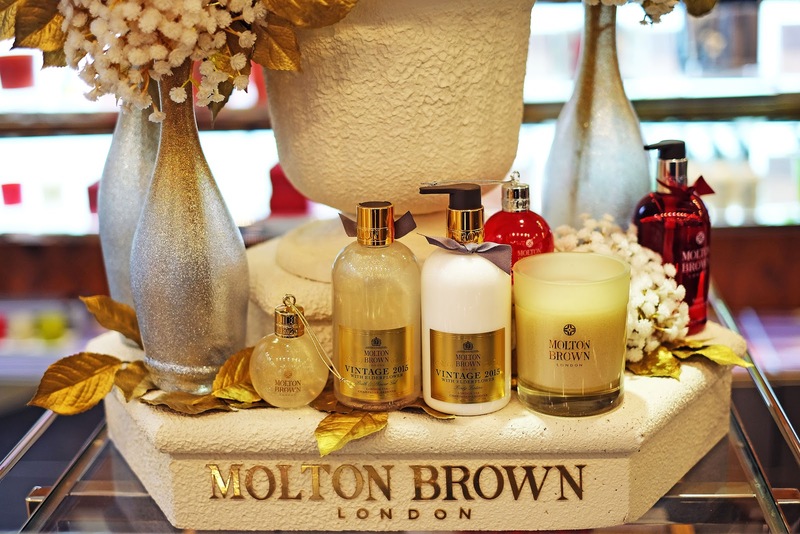 На это Рождество Molton Brown выпустили лимитку с игривым ароматом грейпфрута и английской бузины, с нотками ветивера и петигрен. Вся продукция Molton Brown произведена в Англии, выглядит и пахнет роскошно. 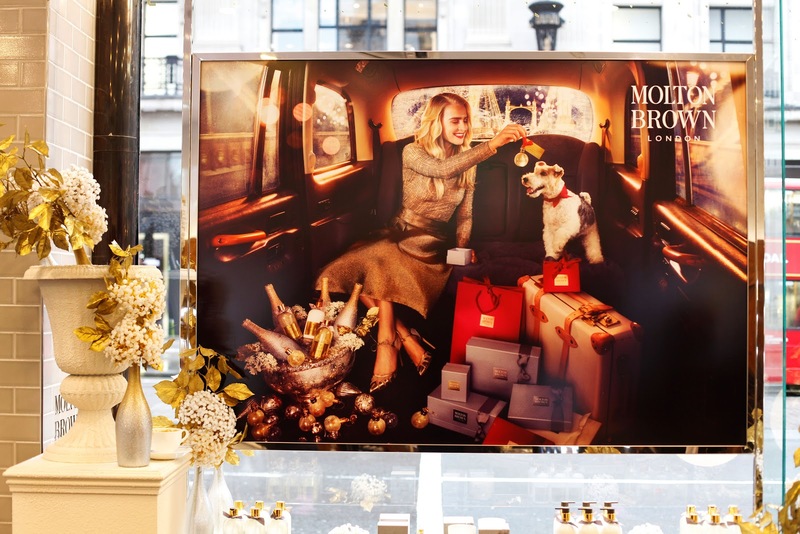 Molton Brown выпустили множество подарочных наборов для нее и для него, для ванны, для тела, для рук, а также стильные подарки для дома. Все наборы идут в красивых подарочных коробках. 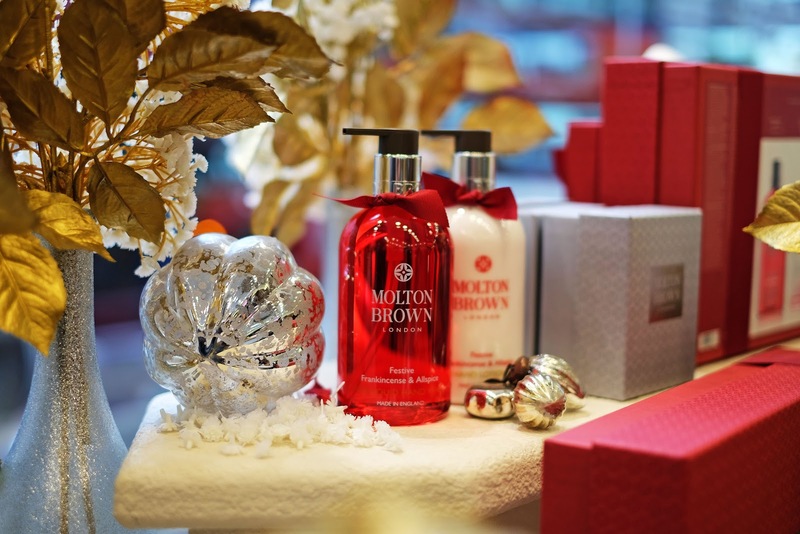 Molton Brown Shower Gel Bauble (£10) - luxurious stocking filler or Secret Santa gift, a decadent, festive body wash encased in a bauble. Signature Washes Gift Set For Him (£45) - a charming collection of bath & shower gels to excite any man. This Christmas gift set for him, includes three iconic blends: Black Peppercorn, Bushukan, Silver Birch. 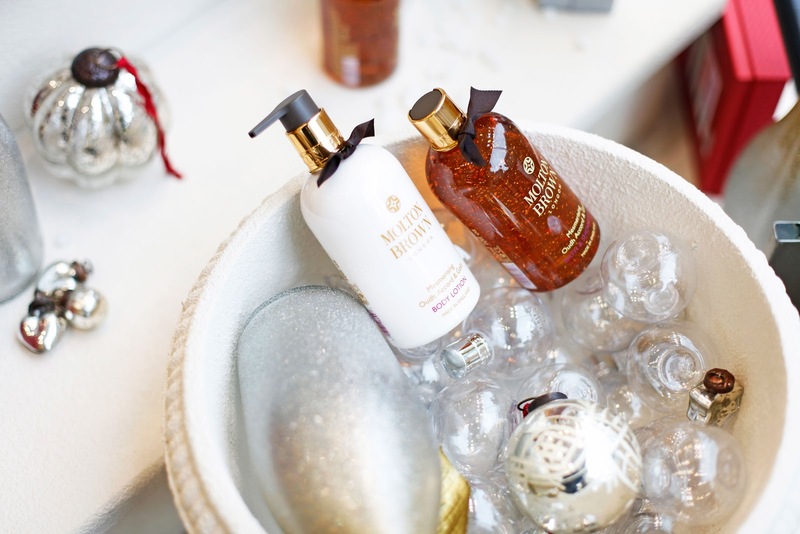 Blissful Bathing Gift Set for Her (£45) - the perfect gift to stay refreshed and beautifully scented during a winter getaway. Includes three body wash blends of passionate pink pepperpods, tranquil honeysuckle and rich ylang-ylang. 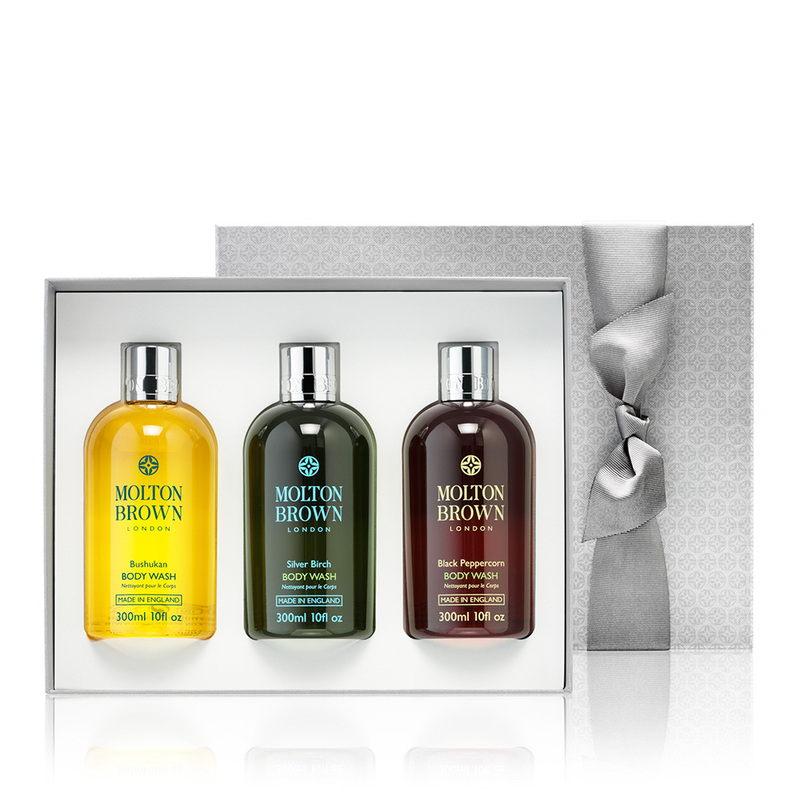 Hand Creams Gift Set (£25) - an indulgent, replenishing hand cream gift set trio blended with white truffle oil. Gift Set includes Orange & Bergamot Replenishing Hand Cream, Delicious Rhubarb & Rose Hand Cream and Blossoming Honeysuckle & White Tea Hand Cream. Re-Charge Black Pepper Essentials Gift Set for Him (£31) - antioxidant rich Black Peppercorn gift set, blended with Madagascan black peppercorn oil and vetiver. 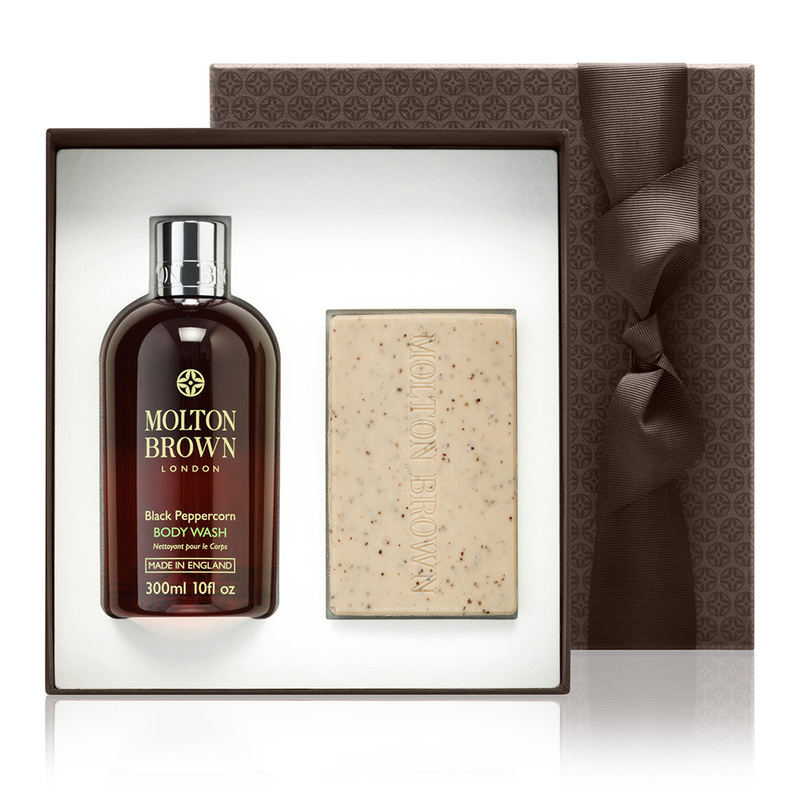 Gift Set includes Black Peppercorn Body Wash and Re-charge Black Pepper Body Scrub Bar.